On Wednesday 28th October’s show, we got stitched up proper!! 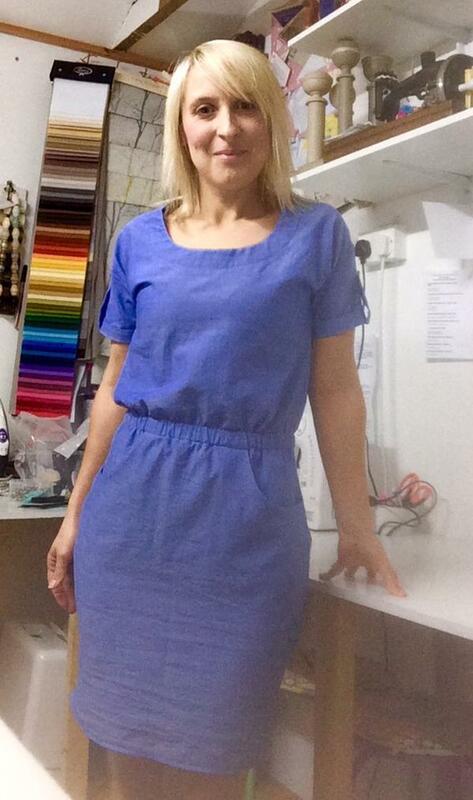 Our guest 8-9pm was local lady Sacha Boxall, who runs Sew Make. She has a range of sewing courses and workshops, from using a sewing machine to creating all sorts of soft furnishings. She has courses for people of all abilities. We’ll learnt about how it all began and her journey to get where she is now. We also be spoke about what she loves about the area, and as standard with our guests, she selected 3 songs which we played in between our chat. We even had a go at making something! In the second hour of the show we had our usual music, local chat, events and happenings from around our way. Zahir bumped into Elie Goulding’s double and also went to see SPECTRE , the new Bond film on Tuesday and gave us his verdict. Jackie also spoke about Radio Woking’s Live Show last week, and having just come up to the 1st Anniversary of the We Love Woking Show, we reminisced more about our previous guests from over the year. Join us 8-10pm Every Wednesday Live on Radio Woking. You can also download the free TuneIn app for all mobiles and tablets.